Discussion in 'Tutorials and How Tos' started by Superquad7, Oct 28, 2012. Offered here in this tutorial are three (3) suggested methods of modifying Dreadwing/Skyquake's gun to keep it in the extended position. Reaper Cloud, Bountyan, GrimlockAutobot and firehawc_69 share a method with us where super glue is used for the weapon to keep it in the extended position. Wheeljack_Prime and Scantron post that using the clear rubber bands that package most of our Transformers figures for keeping the gun extended. Jaller8240 details a method of kitbashing a Lego piece in with his fix for the gun. Read on for each of these members' modifications in depth! Reaper Cloud explains, "With all of my Voyagers, I took the large plastic piece apart (the side with 3 screws) and then cut the metal hook off of the circular metal spring to keep it from pulling back. 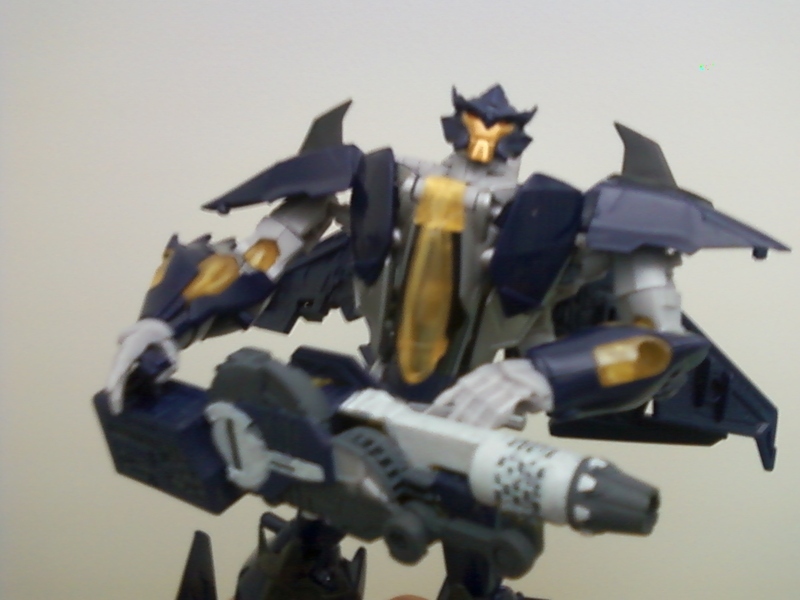 Dreadwing is designed differently, since he has a small spring in his. I just pulled the spring out (it will DESTROY the spring by stretching it out, but it comes out eventually). Mind you, the guns are now loose doing it this way. 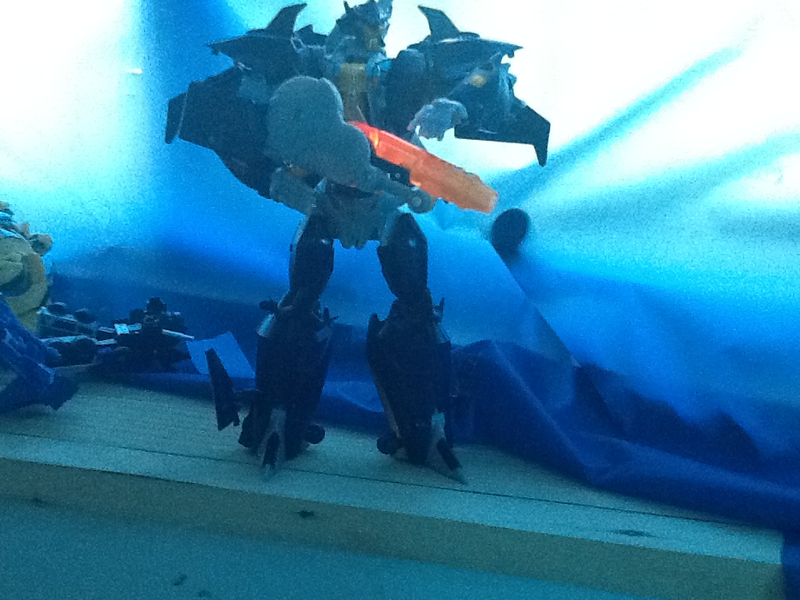 Dreadwing's weapon appears to lock into place, since he's holding it (arm down) and the weapon is aligned as it should be. If you were to move the arm up, the gun would probably slide back into its normal position. If you wanted to keep the gun extended the whole time, a small drop of crazy glue would work. My method keeps the light from being on ALL the time. 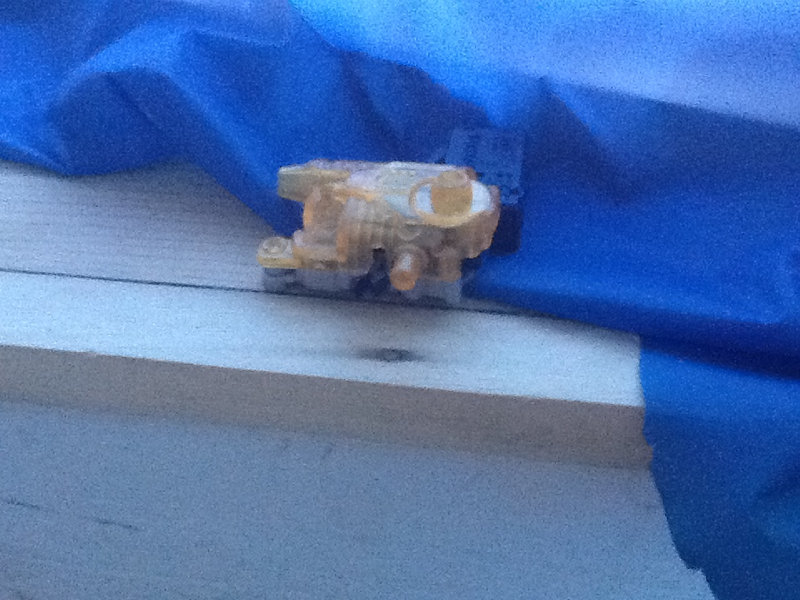 With the first four Voyagers, the light will come on if you press slightly down on the back part. Dreadwing's weapon won't though, since it is different in design. So yeah, you could just glue the weapon down into place...but the battery will die very fast (if you care about the light gimmick). Also, if you don't want the light on all the time...you can remove the batteries. 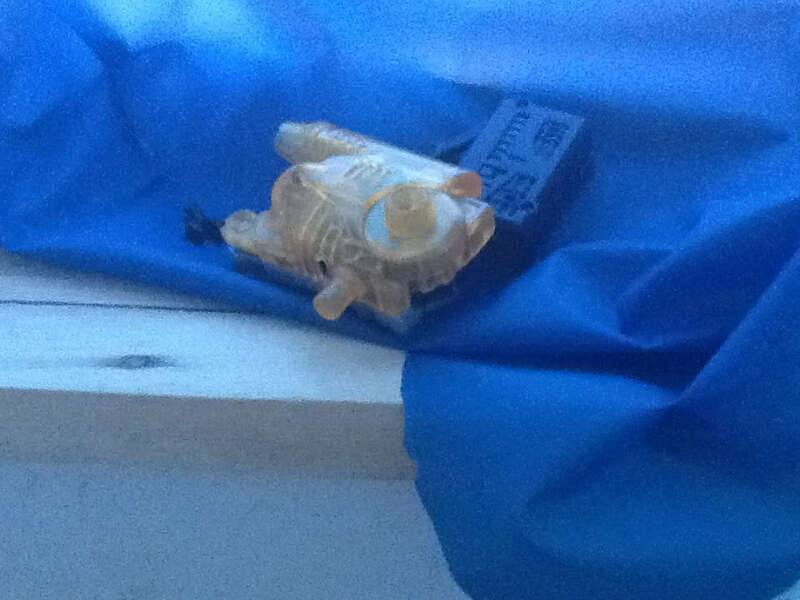 Basically, what you need to do is insert one of those Lego Exo Force Robot hands into this little hole in the bottom of the gun, after that, you have a pretty stable gun. You may need to fiddle with it to get it to stay in his hand, though." Bountyan concurs, "Unscrew it, take out whatever springs are inside, and superglue the parts together." GrimlockAutobot reports, "I opened it up, took the batteries out, pulled the spring out, and super glued the barrel to the gun. It looks great." 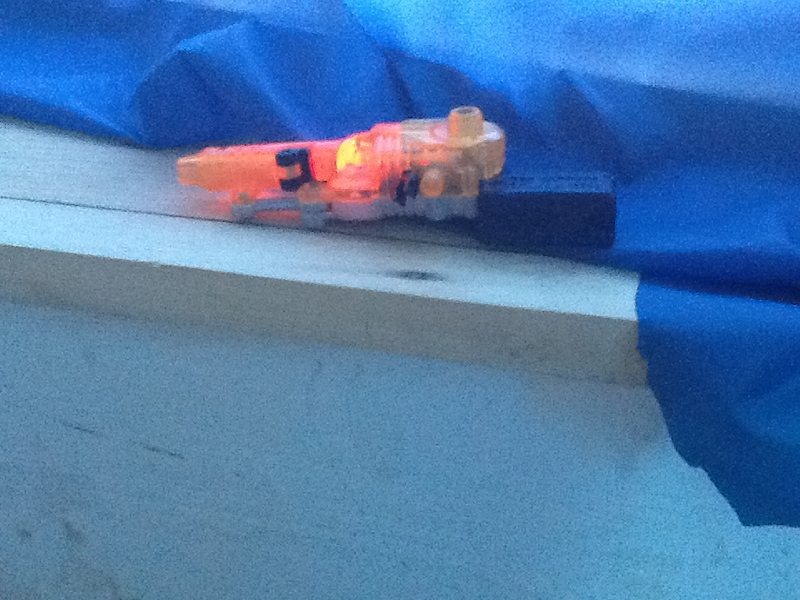 Wheeljack_Prime says, "I just use the small clear rubber bands that come with the toy for the Powerizer weapons." Hey everyone, I just figured out a quick way to fix Powerizer Dreadwing’s gun. Step Four: You are finished! Dreadwing now has a stable gun and you do not have to heavily modify it. I hope this thread helped everyone out, and will be posting more of these quick fixes soon. Until next time!